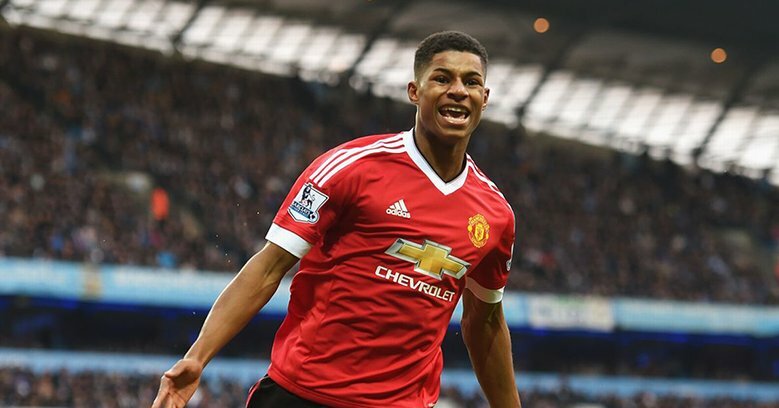 StoryIs Rashford the New Ronaldo? When it comes to Manchester United and superstar players, the list is certainly an illustrious one. Whether it be the likes of George Best and Denis Law from yesteryear or Cristiano Ronaldo at the start of this century, Old Trafford has been the home to many a great over the past few decades. However, since the departure of Ronaldo to Spanish giants Real Madrid back in 2009, it could be argued that the club have not really had the same calibre of player pull on their world famous red and black colours. The lack of star power has also coincided with United no longer truly being at the pinnacle of the English and European game, a downturn that is also linked to the retirement of legendary manager Sir Alex Ferguson back in 2013. Since his decision to vacate the managerial hotseat, United have had a number of men aim to fill the remarkably big shoes that the Scot left behind and it must be said, that all who tried, subsequently failed. That was until Ole Gunnar Solskjaer took the reigns at the end of 2018 as interim manager, a vacancy that arose after the sacking of Jose Mourinho. A decision that the United board probably wish they made a lot sooner, such has been the turning of the tide under the Norwegian. While the reason for such an impressive string of results has been down to the fact that the former Cardiff manager has put his faith in Marcus Rashford, a player who was in danger of seeing his career trajectory halt while under the stewardship of Mourinho. The decision to name the England international in a centre forward role, has given United’s hopes of a top-four finish a real boost and they are in with a serious chance of earning entry into Europe's premier club competition next season. A look at the current Premier League betting suggests that there is still a little bit of work to be done, as bet365 have them priced at 11/10, putting them behind the London duo of Tottenham and Chelsea at odds of 4/11 and 4/5 on respectively. Although they might be the outsiders looking in when it comes to the race for a top-four place, they certainly find themselves in a much stronger position than back in December 2018 and that has to be down to the likes of Rashford who has grown in stature over the past few months. In fairness, it would be doing his teammates something of a disservice if we only praised the 21-year-old Rashford, for the simple reason that the whole United squad seems to have improved under this new era of management. At the same time though, Rashford is the player that could well kick this club onto next level and if he continues to perform as he did in their recent sensational 3-1 win over PSG , it could well be that European success and winning this season's Champions League is just around the corner.